If you are out to experience the real Africa, Zambia is the place to be. 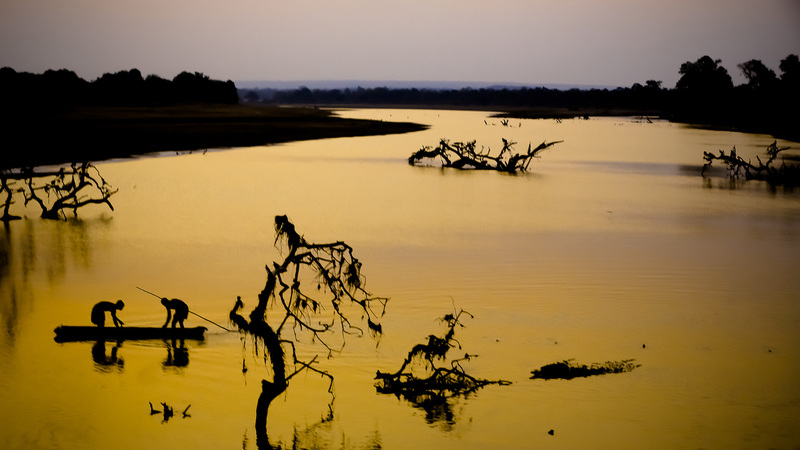 Zambia has one of the best wildlife parks of the continent and is still relatively untouched. Zambia is rated as one of the safest places in the world to travel. The country has 20 national parks and is also home of the legendary Victoria Falls. With a diversity of over 740 species of birds, 237 mammals and in combination with a pristine and diverse landscape, Zambia can be considered as one of the top safari destinations in Africa. Is rated as one of the best wildlife areas in Southern Africa. The park, that covers 9050km2, has year-round access and is known for its high concentration of mammals, birds and reptiles. There are more then 60 different animal species and over 400 different bird species. The Luangwa river has the highest concentration of hippo’s and crocodiles in the region and you have a good chance of seeing a leopard on a night drive as they are present in great numbers. Lion, civet, genet, hyena are regularly seen as well as large herds of elephants, buffalo’s and great numbers of puku’s in the open bushveld. Bushbuck and kudu stay cover in the shrubs but they are very relaxed on approach. The Thornicroft giraffe is unique to the Luangwa valley. Mfuwe village is on the Eastern boundary of the park and it has an international airport. Is about half the size of the South park and one of the wildest places in Africa. The park is known for its huge herds of buffalo and high population of predators. You will find large prides of lions and it is not uncommon to see a kill. Also frequently seen is the endemic Cookson’s wildebeest. While elephants and leopards are more likely to be seen in the South park, you will find hartebeest, reedbuck and eland here. All birds in the South park are also found in the North park. The park is wild and untouched and there is only a few roads and you won t see many other visitors during your trip. The park covers an area of 4090km2 and is home to most of the big game species including wild dog. There is a good population of lion and leopard and the bird life is very good. The biggest attraction however, is the great Zambezi River that provides excellent opportunities for game viewing and various water sports. You will find enormous herds of elephant at the river’s edge and you can watch the elephant’s bathing in the river, there are big schools of hippo’s and fish eagles are soaring overhead, while canoeing or fishing on the Zambezi. ‘Island hopping’ buffalo and waterbuck are also quite common. And unlike other parks, the Zambezi never dries up and provides a good water source for the flora and fauna all year round. Described as one of the 7 wonders in the world… the greatest known ‘curtain of falling water’. About 540 million cubic meters (end of March) of Zambezi water per minute falls down over the edge over a width of 1.8 km into the depth of about 100 metres below. The moving water creates a number of activities in the area like sightseeing by air (helicopter and micro light), wild water rafting (Zambia’s Rafting Adventures have been rated as one of the top ten travel experiences in the world), canoeing, bungy jumping… but there are also walking safaris, birding safaris, elephant back safaris etc. Is a small park between South and North Luangwa National Park and is only accessible between May and October. Wildlife is not as dense as in South and North Luangwa but increasing. The landscape is divers and the endemic oribi and Cookson’s wildebeest are found here. There is good bird watching and it is certainly worthwhile visiting this remote park.